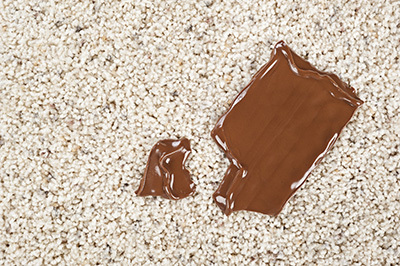 Treating specific carpet stains usually require specific solutions that need to be mixed up. There are some stains that are more difficult to remove than others. However, with practical application of a few steps, this process will be a cynch. Here is some basic information to assist you in your stain removal endeavors. Blood is one of those stains that upon first glance seems like it would be extremely difficult to get out of your carpet. Even if you do not remove it immediately, as long as it is a small amount you will be able to get it out. Larger stains of blood on the carpet are somewhat difficult to get out and may require a professional stain removal service. You can use hydrogen peroxide to get smaller blood stains out. You must blot the area gently with a white towel or cloth. Repeat the process over and over again until the stain is no longer visible. It appears as though it would be a difficult stain to remove based on the red color. Looks are very deceiving because small spots are usually easier to remove. 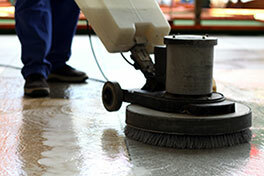 Soft drinks are another type of stain that at first glance appears to be impossible to remove from carpets or rugs. 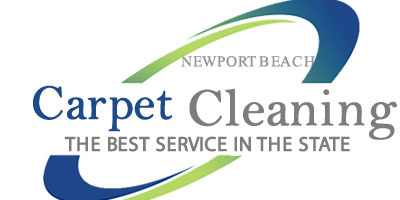 In reality, when cleaning your carpet the carbonation in the soft drinks helps to make it easier to remove the stain. You must blot up as much of the spill as you can with a towel. Do not rub because it only pushes the soft drink deeper into the fibers. When cleaning, you must mix white vinegar, warm water, and a mild detergent to put over the area of the stain. Allow the mixture to cover the stain but do not saturate the area. Blot the area then repeat the process if needed. 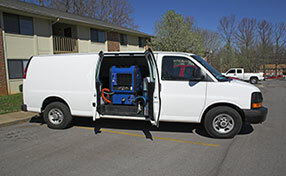 It does not matter how many times you repeat the process because the solution will not damage your carpet. It is a safe and natural solution that is not harmful to the fibers.